Because you never know what will look into the camera. You may disregard that monkey above...yep...easier said than done. 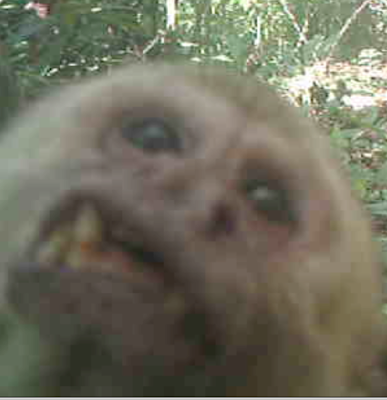 That morning in mid-January when I clicked on what I though was a just another capuchin monkey video, only to discover this guy looking into the camera... Yikes! Well it was just one of 6000 images that we had to go through after leaving the camera for 5 plus months. We were fortunate to see 3 new and rare species along with our usual mammal species. 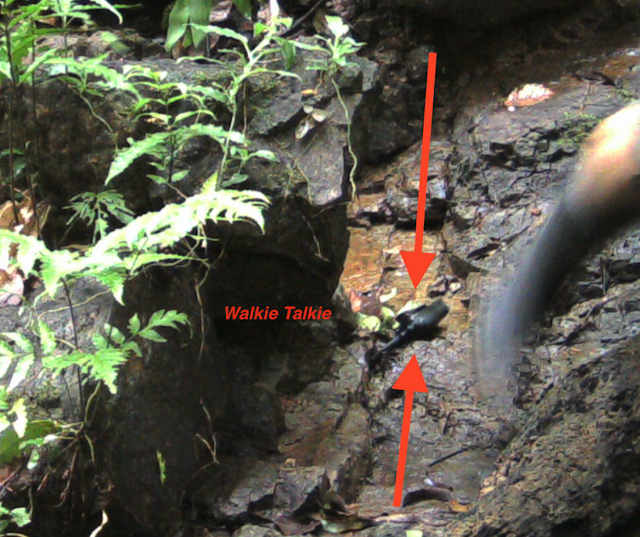 The Gaea camera has been always been placed above the waterfall to capture animals that visited the creek. The previous location, looking at the giant log, was replaced as the old log had decayed and washed away. We see more strangers in this area than another, and this cache of images was no exception. Fortunately the guys with rifles only spent 4-5 minutes in this area before leaving empty handed. Moments before these hunter passed by we had seen a paca go by, and an hour after the hunter left, the paca came by again. So we were glad it was safe. We don't see many armadillos on the property, but we got a picture of these two enjoying the stream. I by passed the next photo several times and considered deleting it since I saw no animal. However, I did see something in the picture. Several close up looks later, we determined that it was a very rare mammal that is seldom seen in camera traps. It is a Greater Grison. They are members of the weasel family and are very much like badgers. They have a black mask beginning at their eyes which throws your perception off if you have never seen one before--and I had not. Our friends over in the Osa peninsula got this handsome pair of Grisons last fall on his camera trap. We have since placed a second camera up in this area to see if we can spot anymore Grison activity during the next few months. We don't see much of it, but when we do it is pretty exciting. 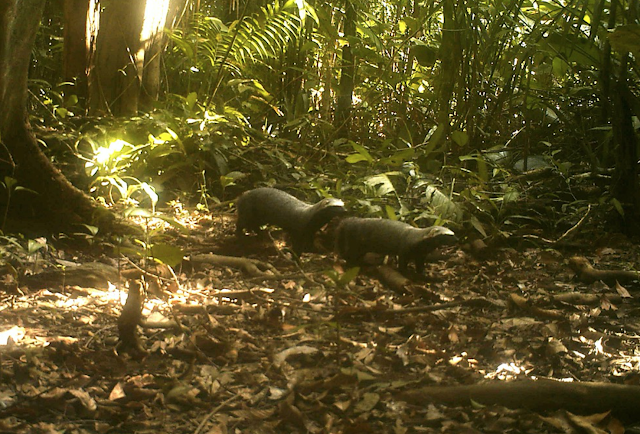 In the nearly 100,000 images we have had over the last two and half years, we have only seen a handful of animals with prey: ocelot with a rice rat, the tayra with iguana, and many agoutis with nuts. We were very interested when this image came via email from one of the wireless cameras and into the Instant Wild webpage in London. It appeared to be a large raptor having a face off with a normally arboreal woolly possum. It was a battle between the opossum and this raptor with yellow legs. There were no more images of this from the wireless camera or the companion cameras nearby. We do know that woolly opossums are very fierce when cornered. One of the things that we have learned is that many animals like to use fallen trees a pathways through the forest. Curassow hen crosses a small ravine. Tamandua or ant eater on the prowl. This observation has led us to aim more cameras towards fallen trees and vines to hopefully target animals more accurately. The above image is a collared peccary. They have not seen peccaries above Golfito in many many years. 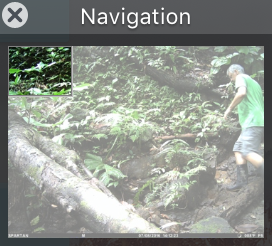 Even though the above image is not from our cameras, our project inspired this land owner/friend to place a camera trap in the forest behind their home. This site is only 3.5 miles from our property. There are not many corridors for peccaries to travel, but with Costa Rican ban on sport hunting, there is a chance the peccaries can cross the highway and continue to repopulate forested lands. The second new species(for us) that we believe that we have caught on camera is another one of the arboreal opossums. In addition to the woolly opossum there is a tiny Mouse opossum that we have had glimpses of coming down from trees. We hope to have some images up soon. Finally, we can add another cat species to our list. The Margay is more of a tree dweller than is the ocelot. It is also a bit smaller and has a longer tail in respect to body size. They do not adapt to habitat loss as well as the ocelot and need undisturbed forest. We only have one clip from mid January and we have incorporated it into this short video on the cats we have seen the past 6 months. The Margay shows up in the intro and again at the very end of the clip. There are plenty of close ups of ocelots and you can really see how short their tails are compared to the tail of the Margay. Maximize the screen size to see the video better. Back in July during our visit, I downloaded this quick cat video and discounted it as a young ocelot. The slight body and head, long tail and 'closed' rosettes actually make this a relatively easy ID. Operating a camera trap project this size alone is rewarding but challenging. The countless hours spent looking through images, placing cameras amid mosquito and ant bites in sweltering heat, is certainly a labor of love. What is most difficult is the financial challenge. So far we have been fortunate in that camera failures have been mostly covered by warranty but our 2 year grace period on the original cameras is running out. The cost of AA lithium batteries has continued to increase. With the rare advantage of real time images sent from the wireless cameras, we now have data plan costs. Vamos Rental Cars in Costa Rica and HCO-Outdoors Cameras have been instrumental in helping to defray some ongoing costs of batteries and cameras. Friends and family members help us a great deal as well in keeping our U.S. pets safe and well fed. Thanks to all of them. 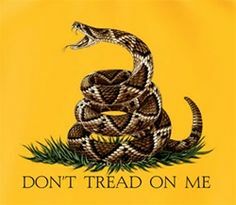 You can also contact us via email at OchoVerde@gmail.com to receive mailing instructions for a personal check/supplies. Finally,you can go to one of the online websites, Amazon or eBay to purchase AA Lithium batteries directly from them and have them sent to our home in Charleston, SC. Contact us for the address. Our images have become favorites across the globe via the Zoological Society of London's Instant Wild app and webpage! Our next update will feature BIRDS in the camera traps!